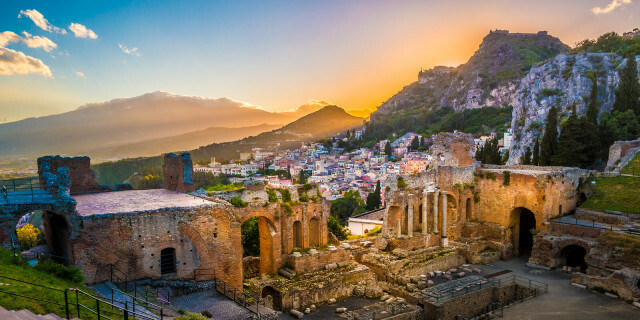 Pickup time for the Catania area starts at 8:30-8:45 a.m.
Pickup time for Aci Trezza & Aci Castello is at 9:00-9:15 a.m.
Departure from Taormina is at 9:00-9:15 a.m.
Total transfer time (pickup + drop-off) is about 1 hour. There is no minimum age, but you must be at least 1.40 m (4 ft 6 in) tall to ride. Maximum number of people per group is 8. What to bring: Appropriate clothing and footwear, windbreaker/jacket (depending on season), water, snacks. If you'd like to reach Catania by bus, you can find information about prices and departure times on www.interbus.it. 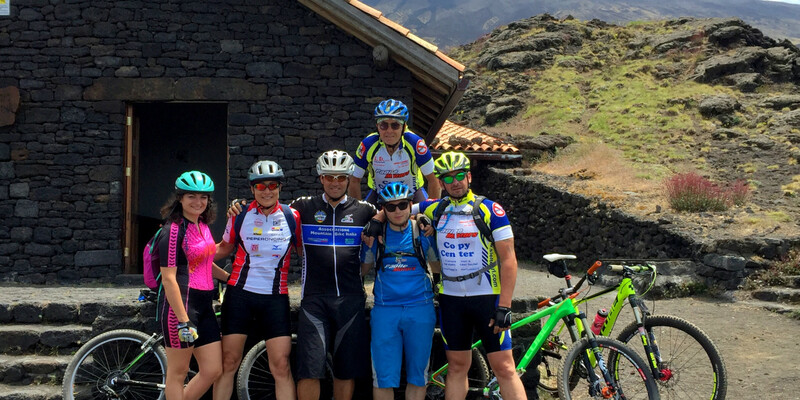 Exploring Mount Etna on a mountain bike means seeing more, skipping large groups of tourists, and discovering trails in untouched landscapes. 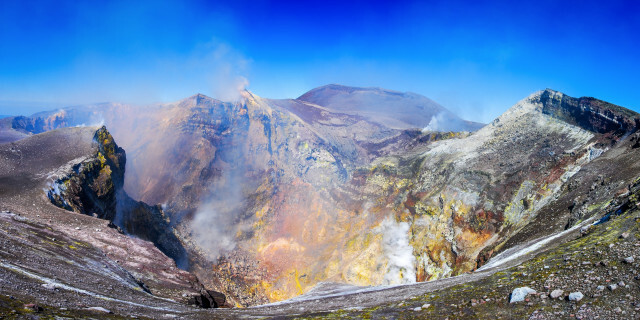 This unique discovery of Italy's largest active volcano offers three trails to choose from, so whether you're skilled or a relative beginner - we've got you covered. 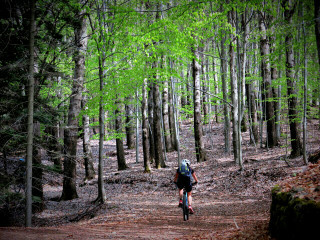 On your way along the paths of Etna Park, you can expect to pedal by ancient lava flows and old craters, through oak and pine forests, and across small hills that are spread across the mountain's slopes. The hills were once active craters and are now covered with thick vegetation, a biker's paradise. 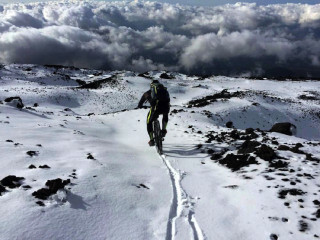 Your riding will include exciting descents on lava sand, single trails through rich scenic woods, thrilling freeride and enduro trails, and more. 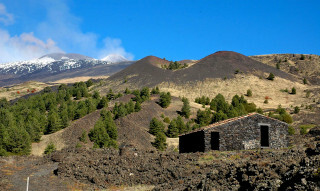 A snow-covered white giant in the winter and black in the summer, Mount Etna is spectacular year-round. 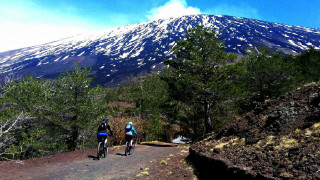 And because of Sicily's climate, you can join this tour any time of the year, with each season promising different colors and gorgeous views.